I’ve heard many people disparage 2016. People can’t wait for it to end. This is hard for us, because 2016 has been amazing for us. Like many of these letters we will be going over many of the highlights of this year. The day Kate and Rich had the honor to permanently add Aiden to our family. The day we adopted him was one of the best days of our life. We cannot think about 2016 without thinking about that. After many year we have a child. Once the judge made the adoption final, it was a feeling I really could not describe. After the adoption Kate and Rich threw a party for Aiden with the help of the Lacy-Kline Family. We invited our friends and family to celebrate our new family. We wanted to thank the people who supported us on this journey. It was a great day of fun, tacos, and smashed cake. 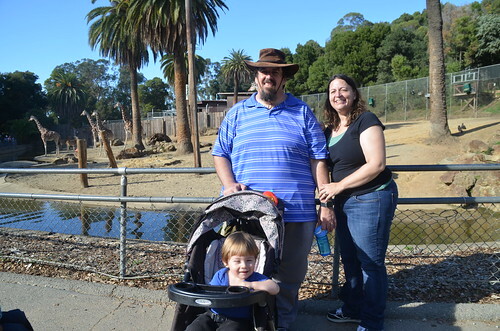 Kate and Rich took Aiden back to Pennsylvania to meet the Warminster Thomas Family. It was amazing to see him meet his Grandmom for the first time. His Aunts, Uncles, and cousins had a good time with Aiden. The good news is Aiden took his first steps on vacation. The bad news is he also learned stranger danger. He cried when his aunts tried to home him. The best day on that trip Aiden’s Grandmom and Aunts threw a surprise first birthday party for Aiden. To this very day I am still touched by them. It was such a great act for them to do. The other big highlight of 2016 was Rich getting bariatric (weightloss) surgery. Many, Many people supported the family during the surgery and recovery. Kate’s sister came in for a week to help around the house the week of the surgery. Kate has been patient with Rich as he learned he new lifestyle when it comes to eating and exercise. Most of the year has been about the day to day events of raising Aiden. He has gone from a little baby who could barely stand up to a toddler who runs around and explores as much of the world as he can. He has gone from just making sounds to expressing himself with words. He has gone from drinking formula for every meal to eating real food. It is amazing to see him grow and develop. Who knows what next year will have for us. With the holidays we know Aiden will grow a whole lot more before the holidays of 2017.